Day 28, dear reader. Day 28. 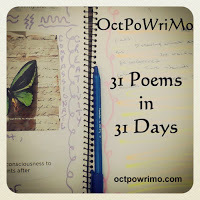 I never would have thought to make it this far into #OctPoWriMo, but I have surprised even myself. And what is more surprising is that I am enjoying the art of 'thinking outside the box'. I have tried a couple different forms, and tried a couple different approaches. It has been enlightening, and a growing experience. So, what does today bring us? I have written a double etheree. An etheree is a 10 line poem that consists of 10, 9, 8, 7, 6, 5, 4, 3, 2, 1 syllables. A double etheree is the same, except the order of lines/syllables is reversed in the second verse. Today's poem shows two sides of me, both of which very much are real. At times during #OctPoWriMo, I have felt both sides. Thanks to those who have encouraged me *cough Jessica Scott cough* to keep going. The theme we were given to work with was 'hunger' + a secondary 'feeling' word. I chose to use hunger not as relating to food, but rather in relation to my writing and my craft. I hope you enjoy today's offering. Oh wow, Rod! This was fantastic! I love the form and how it flows. This is excellence. And thank you for the shout out. LOL. Thank you so much, Jessica!! It was fun to write, although I probably look like a goof as I count syllables on my fingers LOL. Hahaha! Then, you'll have plenty of company...so do I.
BTW, love the poem and the form. Will have to try it myself. There are some fantastic images. "Ambition rising like a Phoenix" is a personal favourite. Fabulous Rod, especially the two of these combined together! You've captured this really well I think. Thanks Angela. I really wanted to capture the ups and the downs of 'confidence'. I'm glad you think it works together!! Such a wonderful sense of soaring spirit you've captured here! Those ups and downs, the doubt... it all seems to be part of the creative journey. You've described a poet's life to a T - t times an uphill struggle, at times freewheeling down. Nearing the end of these month-long challenges, it feels a bit like hanging on by my fingertips! Wow! I haven't written one of these in a while. I remember it being fun and challenging...talk about counting syllables with fingers flying..in public. I enjoyed this!